my Slavic ancestors, when still pagan (Poland was officially converted in 966AD), celebrated their dead by holding a special feast twice a year (spring and autumn) known as ''Dziady'' or Grandfathers. 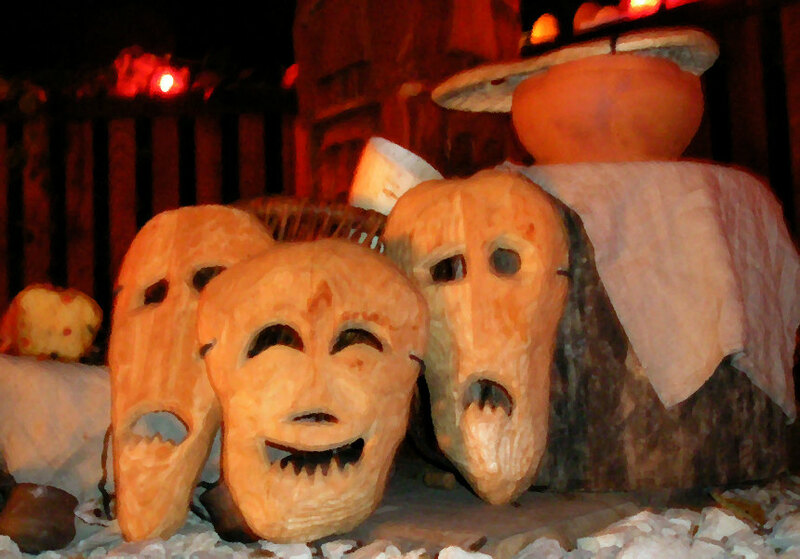 The fall feast was held at the end of October and beginning of November. 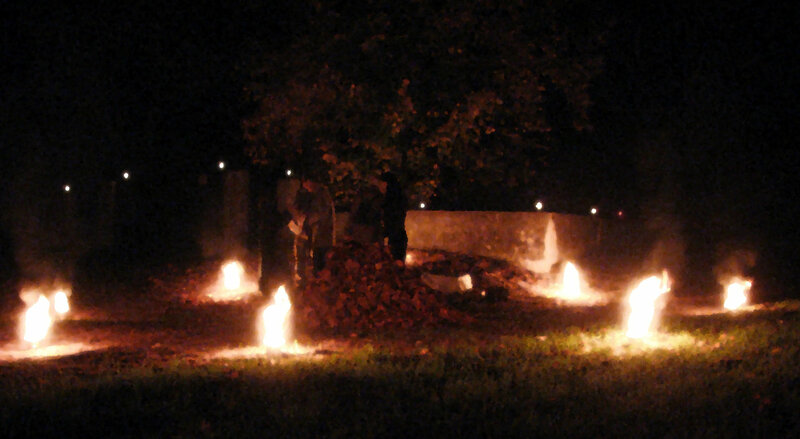 Bonfires were lit to show the sprits of the dead the way to their living relatives' dwellings. Prayers were held and foodstuffs were prepared especially kasha, honey and eggs to celebrate the strips of ancestors and relatives, both to secured their favours and to ease their existence in the Underworld. 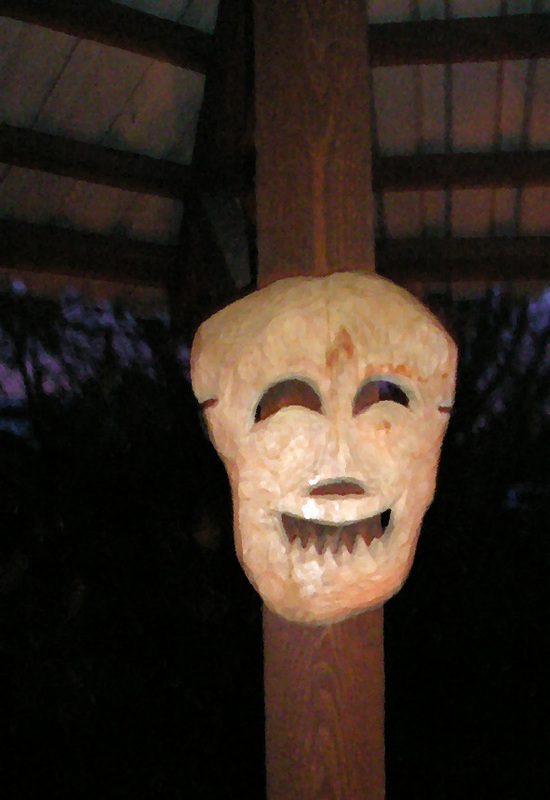 Wooden masks known as karaboszki (singular - karaboszka) were carved to symbolize the spirits of the dead. Wandering beggars were thought to have been the special nexus between the world of the living and the dead, and during the ritual of ''Dziady'' these beggars were fed and in return they would recollect and tell of past experiences of the deceased relatives. I should mention that the spirits of the dead who passed naturally were celebrated in the way I described above, but all those who died violent death were buried approximately where they fell and their burials were feared and anyone passing those had to leave a green branch on the burial, eventually the gathered wood was burned during Dziady, as these poor souls were suspected of mischief and those special fires on their burials were thought to stop these wretches from coming to the world of living and causing harm. With the coming of Christianity these rituals survived in the folk customs and rituals, and they are celebrated in Poland as Zaduszki ( day after All Saints Day), by bringing flowers, often some food and by burning znicze. Our great Romantic poet Adam Mickiewicz described Dziady in his epic poem "Dziady."